The Galapagos Islands. Even just the name speaks of far-flung isles, untouched wilderness and that sought-after sense of discovery. Located almost a thousand kilometres off the coast of mainland Ecuador, and scattered throughout the equatorial seas of the Pacific Ocean, this tiny cluster of remote islands is so much more than just golden coastlines and pristine waters. After all, it was these ‘enchanted isles’ that inspired the critical thinking of famed evolutionist, Charles Darwin. In his 1835 voyage, Darwin is quoted as having found an independent ‘centre of creation’; a place where the wealth of wildlife can be dated back millennia. For the average person, it’s difficult to even imagine such history. But what one can imagine is volcanic peaks meeting lunar landscapes and deserted beachfronts dotted with dancing Sally Lightfoot crabs, swooping blue-footed boobies and playful baby sea lions resting in the shallows. This enthralling oasis, so unlike any other, will see you following in the footsteps of Tomas de Berlanga, the bishop who discovered this unique paradise, and encountering nature at its finest. In other words, the Galagapos will make an adventurer out of you. The star of this archipelago is undoubtedly its wildlife. Whether it’s by air, by land or by sea, the beautifully varied and dramatic landscapes of the Galapagos provide habitat for some of the world’s most diverse animal species. On some islands there’s the Galapagos fur seal and green sea turtle, eastern red bat and lava lizard, red-billed tropicbird and Nazca booby. And on others you can find Darwin’s finches and the scalloped hammerhead shark, marine iguana and great blue heron, white-tipped reef shark and American flamingo. On white sands, curious sea lions will tread on your toes as you try to snap a photo and schools of fish will dart around your snorkelling body, going about their fishy business as if nothing is out of the ordinary. The animals of these islands are characters unto themselves. They are inquisitive, intuitive and fun, and treat human travellers as fellow inhabitants of the isles. After generations of isolation, they sport no inherent fear of humans. Spend long days watching herons fly, turtles swim and penguins play. Listen to the unique trill of the endemic Galapagos mockingbird, saunter alongside a marine iguana and attempt to decode the primal interactions between species. Perhaps stand atop the cliffs of Espanola Island and watch the grand waved albatross soar majestically, harnessing the power of the wind with finesse and a two-and-a-half-metre wingspan. Or perhaps take to the warm waters and snorkel beside gentle sea lions, letting them parade their superb agility, astonishing power and effortless grace in the sea. These big kids will take your breath away. Whether you take to the sea by boat, snorkel over a school of hammerhead sharks or hike the lush hinterlands, there’s plenty in the Galapagos to keep the active traveller enthralled. For some of the archipelago’s best snorkelling head to the Devil’s Crown, just north of Cormorant Point. Consisting of an almost completely submerged volcano, you can play ‘spot the sea turtle’, ‘chase the ray’ and ‘swim with the penguin’. If you’re more comfortable on land, there are lava rock trails to tread, Miconia forest trails to wander and picture-perfect white sand beaches to explore. Or perhaps boot up and walk the rim of the Sierra Negra, the world’s second largest volcano caldera before paying a visit to the Charles Darwin Research Centre and learn more about the gargantuan, 250 kg Galapagos tortoise. The ever-evolving landscape with its heady tropical vegetation, swampy mangroves, still lagoons and crystal-clear waters provide travellers with a kaleidoscope of natural wonders just waiting to be explored. After breakfast on your boat, begin your day with a morning activity. Perhaps a walk through avocado plantations, a Zodiac ride around the islands or a snorkel. Before the trusty Zodiac takes you back for lunch, spend the hours exploring. Maybe you’ll make a new animal friend or perhaps the light will be just right for a spot of photography. 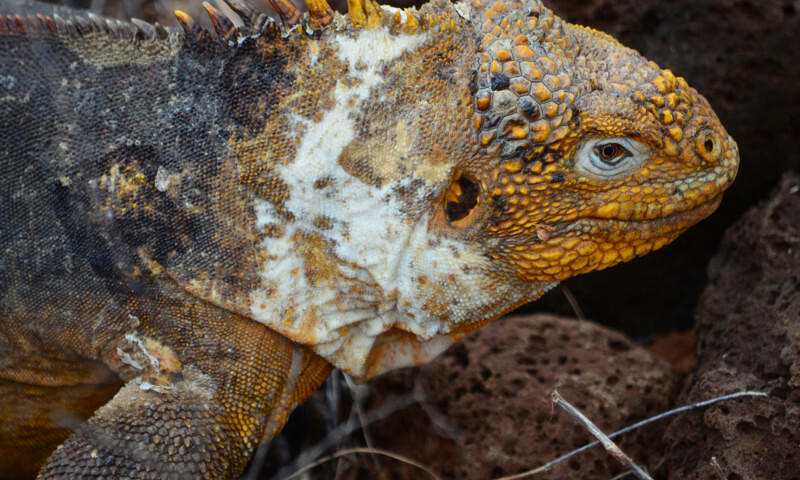 Continue your explorations in the company of your naturalist guide, who will be on hand to talk all things Galapagos. Come evening, your homely catamaran will be waiting, as will dinner. Watch the sunset from the vantage point on your deck with a sundowner in hand and ‘cheers’ to a day of true island life. 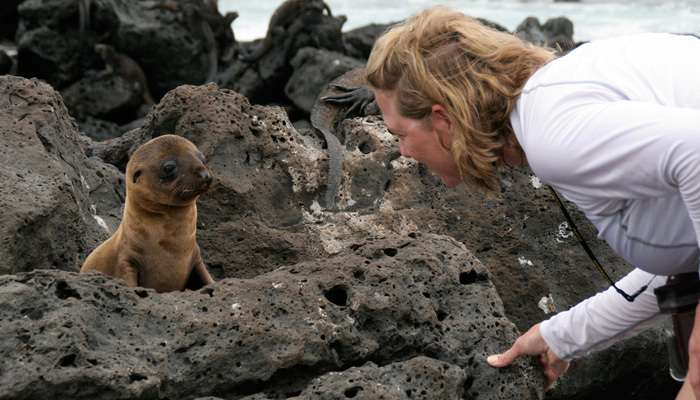 Peregrine Adventures has been running small group tours of the Galapagos Islands since 1996. With a passion for travel, expert naturalist guides and inspired accommodation, Peregrine appeals to the well-travelled, discerning voyager. Ready to sail the Galapagos? 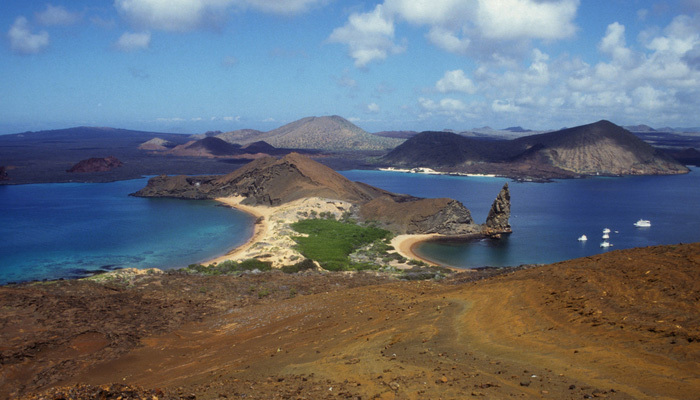 Peregrine have been leading Galapagos tours for decades. 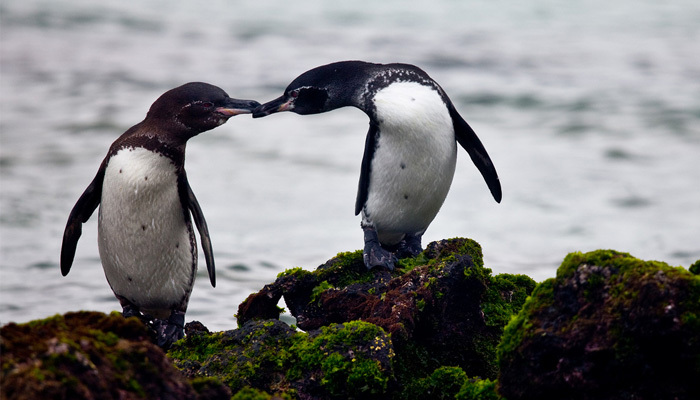 Join expert naturalists aboard a private yacht and discover the world’s most famous marine reserve in style.